Beer festivals are a great way to get introduced to new breweries or to taste something different from an old favorite. Here's what's coming up this summer and fall, plus events to look out for this winter. This is more than just a road race – you’ll get treated to an after party featuring fresh apples, pie, ice cream, cider, and plenty of craft beer from Harpoon Brewery. Held at the Visitor's Center Green in Claremont. This is a combo brewfest and 5K race held by the Kiwanis Club of Claremont. Sample beers from more than 30 New England Breweries and vote for your favorites. Tickets are $25 and $45 for the VIP hour. The VIP hour is from 12-1 p.m. with general admission from 1-4 p.m. Designated driver tickets are available for $10. This festival, held from 6-9 p.m., features over 100 unique, local and regional craft beers, local food and a DJ spinning tunes for street dancing. Tickets are $30. A craft beer and culinary world tour that benefits the Strawbery Banke Museum in Portsmouth and New Hampshire Public Television. Held from 5-7:30 p.m. with a VIP reception beginning at 4 p.m. A wonderful opportunity to stroll through the historic grounds of the museum while sampling delicious local food and drink. Held under tents from 11 a.m.-4 p.m. at Swasey Parkway in Exeter. Tickets are $32. This huge festival features breweries from New Hampshire, New England and beyond. In addition to the beer, taste your fill of chili and vote for your favorite. New Hampshire Magazine is a proud sponsor of this event. Brew Ha Ha, presented by Amoskeag Beverages, a celebration of craft beer, delicious food, live music and fun for the whole family. Held from 1-6 p.m. at Purity Springs Resort. Held at Attitash Mountain Resort in Bartlett. The two-day event will feature traditional Bavarian music from the world renowned King Ludwig's Band, authentic German fare as well as a Biergarten featuring 20 different local and regional breweries serving a host of seasonal beers and ciders. This celebration of German food, music and beer is held at Loon Mountain in Lincoln. Presented by Samuel Adams, this two-day festival perfectly coincides with fall foliage season, so you'll enjoy beer and brats alongside stunning views of New Hampshire's White Mountains. Events include stein-hoisting competitions, keg toss, family sack race, pumpkin painting and more. This is a family-friendly event. Hosted by Cisco Brewers (formerly Redhook) in Portsmouth from 12-9 p.m. Tickets for sessions 1 and 2 as well as VIP are on sale now. Regular tickets are $40 and VIP are $55. This event is a special fundraiser for the Prescott Park Arts Festival in partnership with Master Brewers Association of America and WHEB's "The Morning Buzz." The 5th annual Newport Nano Brewfest features dozens of the best local, brewer-owned, hard-to-find, craft beers New Hampshire has to offer. Located in Newport's beautiful downtown on the historic Town Common, the festival is part of Chamber Day. Held from 11 a.m.-3 p.m. General admission is $30. Brewers from across New England gather at Loon Mountain Resort in Lincoln. In addition to tasting beer, you can also attend beer-pairing dinners, seminars and other events that take place throughout the weekend. Tickets always go fast so make sure to stay on top of this one! Bring your friends to the large venue Tent at Steele Hill Resorts for our 4th annual A Brew with a View Brewfest taking place on July 7, 2018. Sample a selection of over 30 craft breweries and enjoy spectacular views overlooking the lake. There will be great music, door prizes and delicious food. VIP admission, from 4-5 p.m., is $55. The Brewfest kicks off with VIP admission featuring an hour of exclusive, limited and rare offers from the brewery representatives plus complimentary snacks and a free event apparel to bring home as a souvenir. General admission is $40 and starts at 5 p.m. with the general tasting session running until 7 p.m.
Held at Henry Law Park in downtown Dover. Tickets are $35 or $60 for VIP access. There are also designated driver tickets for $10. Hosted by 7th Settlement Brewery, this festival features local breweries, good food, music and more. The NH Brewers Association's 5th Annual NH Brewers Festival will feature the largest collection of New Hampshire craft breweries at any brewfest in the state and is the perfect opportunity to taste the best NH has to offer. This one-of-a-kind event is "for the brewers, by the brewers," meaning run by and in support of the NH craft beer industry and will bring together over 40 NH brewers showcasing 100+ NH craft beers. Held at the Everett Arena/Kiwanis Waterfront Park from 1-4 p.m. with VIP hour starting at 12 p.m. General admission is $40 and VIP is $60. Held at Arms Park in Manchester from 1-5 p.m. with the VIP hour beginning at 12 p.m. The Manchester Brewfest benefits New Horizons of New Hampshire. General admission is $40 and VIP is $50. Held from 1 p.m.-5 p.m. (with VIP hour at 12 p.m.) at the Wyman Tavern Museum grounds in Keene. Proceeds from the Wyman Tavern Brew Fest will benefit the Historical Society of Cheshire County. Featuring breweries from New Hampshire, Vermont, Maine and Massachusetts. 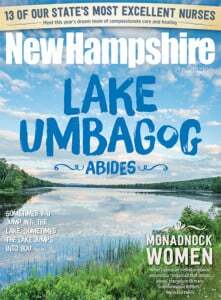 Takes place at the Abenaki Ski Area in Wolfeboro from 12 p.m.-4 p.m. Hosted by Beveridge Craft Beer and Soap Co. The 5th annual Beveridge Summer Fest features 25 New England breweries, live music by The Mangroves and Copilot, corn hole, beer pong, other fun games, food vendors and more. Wings and beer come together at Holman Stadium in Nashua from 1 p.m.-5 p.m. Enjoy beer from local breweries and see who takes home top prize in the wing competition. Tickets are $25. Enjoy samples of beer and cider from over 30 of New England’s best breweries, onsite barbeque and food truck vendors. Held at Gunstock Mountain Resort. Friday Taps & Apps from 5-8 p.m. ($35): 4 courses of delicious apps will be complemented by tasty brews and accompanied by live music. Saturday Brew & BBQ ($40): General admission begins at 4 p.m. and will run through 7 p.m. with live music, unlimited brew samples and a variety of food options. VIP tickets are $50 and include early entry, BBQ buffet and private party from 3-4 p.m. Two-day VIP tickets are $75. A 10-day series of events, tasting and a festival held at the end of February in Portsmouth. Stay tuned for 2019 details. Held on the ice on 19 Mile Bay in February. Looking forward to 2019 details.